Don’t you just hate it when you have a technical problem and you have to call an 800 number only to be put on hold for 30 minutes while listening to terrible elevator music? Yeah, so do we. We recognize the importance of providing localized, coherent and competent in-house support when it comes to content management, email, hosting and other logistical questions you may encounter. 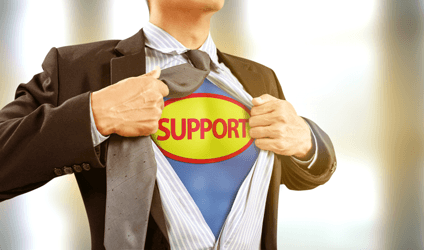 Best of all, most types of support we offer is FREE with our hosting. There is nothing we can’t fix – and if it can’t be solved over the phone, we come to you in person. We don’t subcontract our tech support. It’s all in-house, so you will communicate with the same friendly Petry Design reps every time. Guaranteed. We will never change our superior tech support methods and service.